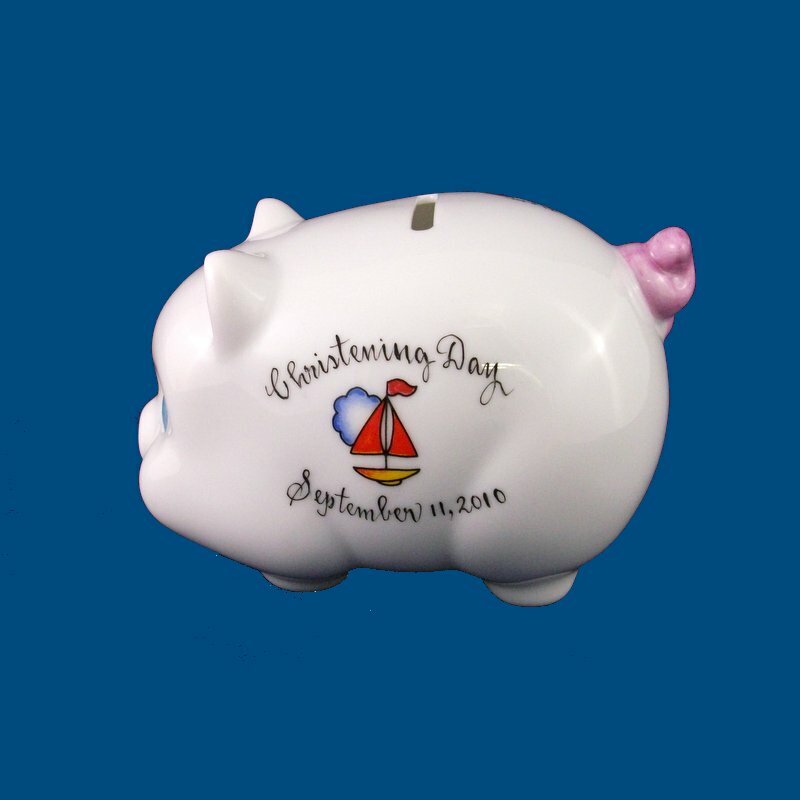 Our classic personalized piggy bank will be a cherished keepsake. This hand painted white porcelain piggy bank is our most popular baby gift. It is customized with baby's first and middle name, date of birth, weight, time and length. On the other side, we personalize with Christening Day and the date of this special occasion. A short personal message can be painted on the bottom of the pig. For example, "With love on your Christening Day, Love, Aunt Jackie, Uncle Michael, Morgan and Melanie. Choose one of our unique designs and we will create a wonderful coin bank that you will be delighted to give. Our personalized piggy bank is the perfect gift for a new baby, birthday or any special occasion. It is complete with a removable rubber plug for easy access. A gift box with tulle ribbon and enclosure card is complimentary with your purchase.